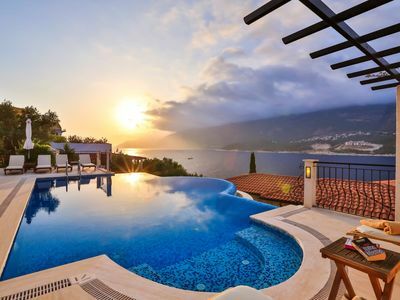 Located on the hill side of the tranquil village of Faralya, Villa Yusufcuk (Dragonfly Villa) is a luxurious villa providing comfort, space and privacy, the perfect location to kick back and relax. 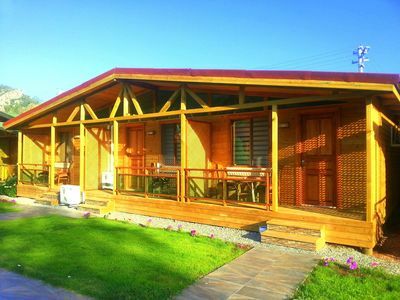 This villa has 3 large en suite bedrooms and sleeps up to 6 people. 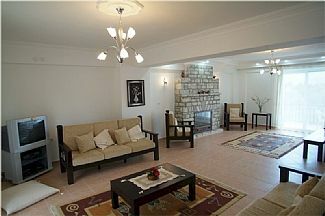 It is surrounded by pretty gardens with fruit orchards and olive groves. 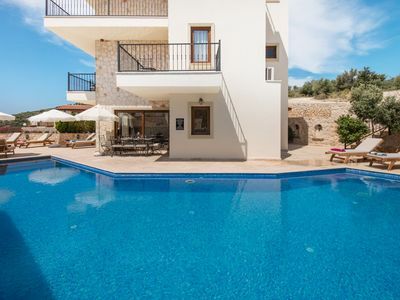 There is a 12 meter pool, shaded seating areas, as well as an outside kitchen including pizza oven and a built in BBQ. The nearest beach is just 15 minutes walk along a delightful wooded track. 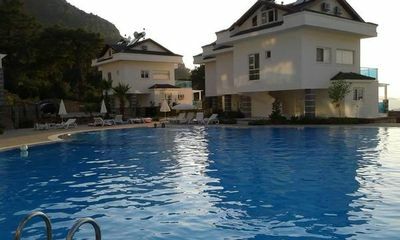 The villa is a 20 minute scenic mountain drive from the resort of Oludeniz, and 1 hour 15 minutes from Dalaman airport. 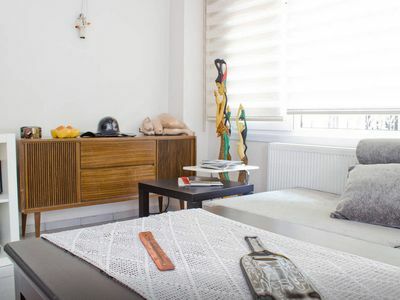 Located near the beginning of the famous Lycian Way, walkers can explore the paths near the villa or relax in simple road side cafes or dine at restaurants at nearby Kabak. There are many trips and excursions available from Oludeniz including white water rafting, jeep safaris, boat trips, Pammukale, and Ephesus. 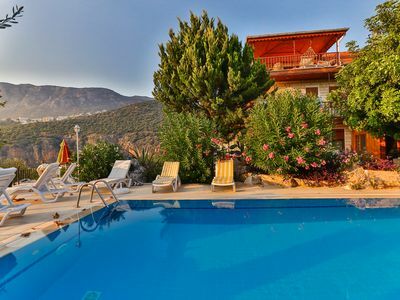 Oludeniz is specifically well known for being one of the best places in the world for paragliding, due to its tall mountain (Babadag), and stunning views. It attracts both professional and tourist paragliding, and you can book a paragliding experience with a professional pilot and glide down from the mountain top, landing on the promenade. Bedroom 1: Super king bed, wardrobe, bathroom with bath, shower and toilet, and two sea view balconies. Bedroom 2: Super king bed, wardrobe, bathroom with shower and toilet, air-conditioning, balcony and sea views. Large kitchen and dining area with sea views, seating for 6, electric oven, gas hob, sink, dishwasher, 2 fridges, freezer, electric kettle, toaster, crockery, cutlery, glasses and pans. 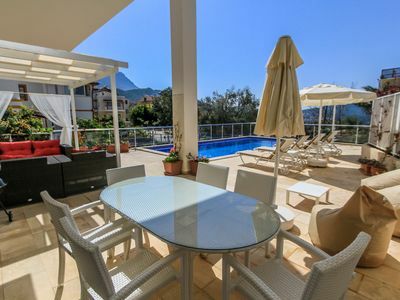 Private swimming pool and shower, sun loungers on pool patio, parasols and sun shades. Extensive gardens. Dimensions of pool: 12 meters x 4 meters x 1.5 meters. Outside kitchen and dining area shaded by a vine covered pergola, sea views: built in BBQ, pizza oven, fridge, sink, dining table and chairs. 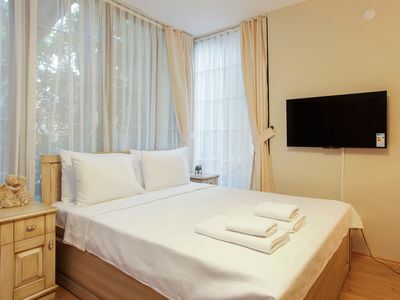 Bathroom, pool towels and bed linen included. 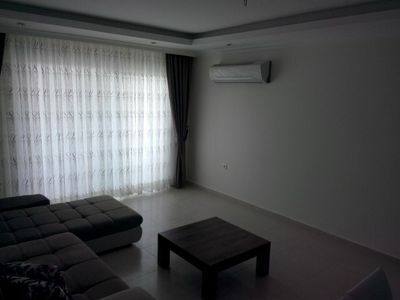 If you are staying for more than one week then the villa will be cleaned and linen changed. If you require extra cleaning and linen changes then these can be arranged at a fee. Other information: Please bring your own beach towels if you require them. Please note: before booking please read the villa description and view photos to see what is included. Extra services and items are not provided. 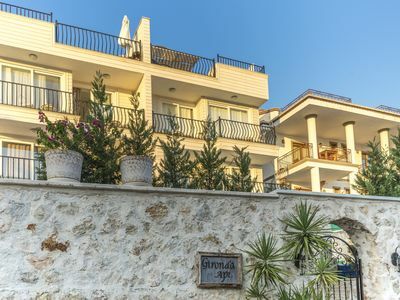 Villa Salmakis Yalikavak Bodrum. A spacious terrace with garden furniture.